Home News 7 TIPS FOR TRANSITIONING FROM RELAXED TO NATURAL HAIR! With the rise of the natural hair movement, more and more women want to transition from relaxed hair to natural hair. While a lot of women want beautiful natural locks, some do not want to cut their hair and loose their hair length. The solution is to transition from relaxed hair to natural hair without the big chop. Transitioning is a process of eliminating relaxed hair by allowing the hair to grow out while gradually trimming the chemically processed ends. The biggest struggle with transitioning your hair is to prevent breakage caused by damage and dryness. Nothing beats water when it comes to moisturising hair, but also incorporate hair oils like coconut oil and olive oil to seal in moisture. Deep conditioning treatments adds lots of moisture to your hair. So make sure to deep condition once a week. 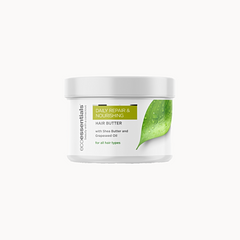 A great deep conditioner is our Restoring & Strengthening Deep Treatment. Experiment with different protective styles that put less tension on your hair like bantu knots and the twist-out. Detangle hair with a wide-tooth comb while it is still wet to avoid breakage. 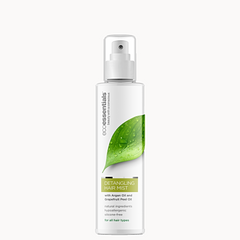 Spray the Detangling Hair Mist to remove knots and tangles and provide an easy comb through. Avoid protective styles that put too much tension on your hairline because the hair is very fine and more prone to breakage.